Back in 2009 there was an episode of The Big Bang Theory called "The Work Song Nanocluster" where Penny started making flower shaped hair clips (barretts) called Penny Blossoms in her apartment. Sheldon and the others are soon involved and "help" in streamlining her processes and marketing them online. Soon the question arises as to how to expand their market and Penny questions how they can make the barrettes more appealing to men. Howard quickly chirps in that they should add Bluetooth. Penny is unimpressed but Sheldon soon reassures her that Everything is better with Bluetooth. In essence, you are getting a ball that can zoom around at up to 7 feet per second (4.5 miles per hour), that can launch itself off ramps and catch some serious air (1 foot gaps are no problem), can swim (float) and scare the bejeezus out of 9 year old black Labradors*, all controlled via your IoS or Android devices Bluetooth connection. You can control Sphero 2.0 by sliding your finger over a virtual control board or by drawing a path for it to follow (application dependant). *If you are particularly evil you can chase the aforementioned Labrador from the comfort of your doorstep for up to 30 meters.... before Sphero 2.0 trundles out of range and continues to roll on down the road forcing you to jump up (nearly dropping the Nexus 10) and chase it before the oncoming Vauxhall runs it over... All the while knowing the Labrador is laughing at you behind your back - Karma. Sphero 2.0 comes in a rather nifty box reminiscent of iPhone packages with everything fitting nice and neatly together with very little wasted space. The device itself is slightly smaller than a cricket ball (about 75mm in diameter) but feels about as heavy. It has a hard (and tough) translucent polycarbonate shell containing LEDs, an inductive rechargeable battery, and the cyborg hamster sorry I mean motor unit. The skin has a series of raised rough lines on it that provides the device its grip as it zooms around carpet, lino, wooden floors, tarmac, but not so much on wet grass. There are a number of applications available for download - At the time or writing IoS seemed to have a few more than Android. The core application is "Sphero" where you can use the levelling-up screens to unlock more speed and more colours on the device. This is very useful as even at low speeds Sphero is a little tricky to control for the beginner. Then there are the augmented reality applications where you view Sphero 2.0 through your tablet phones camera and software places rabbits, zombies or other creatures around the room. Using the same controls as above, you are then able to roll into (or avoid) them. 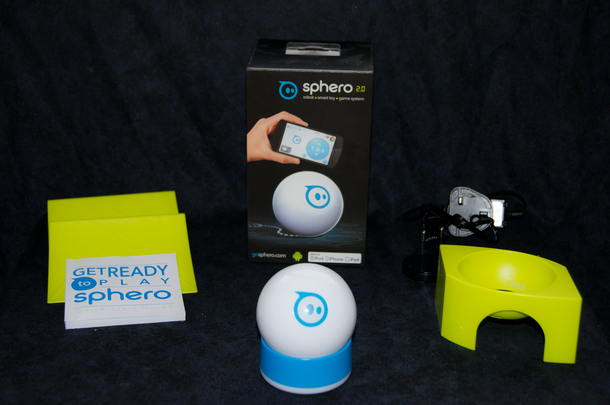 Sphero 2.0 software is updated over-the-air automatically - This is both good and bad - When first used it downloaded and installed two sets of updates, each requiring a restart of the application, but at least you always have the latest revision loaded. Sphero 2.0 needs calibration each time you use it - This is a painless process where you orientate a blue LED on the device against your controller phone tablet. Sliding your finger up the controller moves the Sphero 2.0 forward, move it to the left and the Sphero 2.0 follows suite. Controls are intuitive but it does take a while to force yourself not to orientate yourself with Sphero or follow it around, especially if it gets knocked off course. 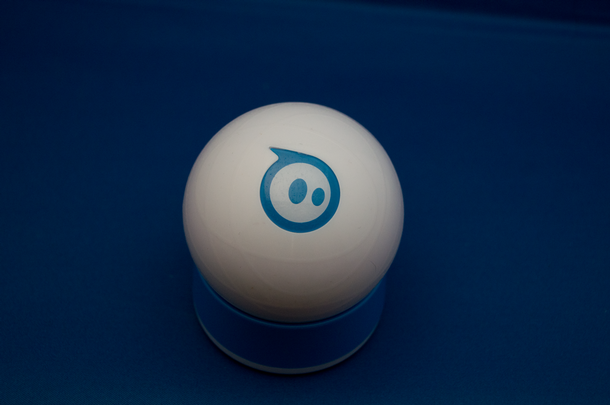 If Sphero is not running true or if you change your orientation, you need to recalibrate it. After an hour or so though, you will be swerving Sphero in and out of table legs and jumping over Sega Mega Drive II's like a professional. Adults who saw Sphero for the first time loved it - This included people working in the office, the office cleaner and the next door neighbour. They liked the idea, the build quality and the application software choice. After a few hours or use however the enjoyment for a 45 year old technophile waned quite a bit. It became enjoyable again when It was showed it off to other people, but as a piece of kit that is "owned", it's likely that it's going to sit in a box for quite a while. However, the 13 year old kid next door thought it was cool piece of kit - He liked the plain driving experience (more than the augmented reality games) and wanted to get a second one so he could race his friends. That's where I believe the fun will last. 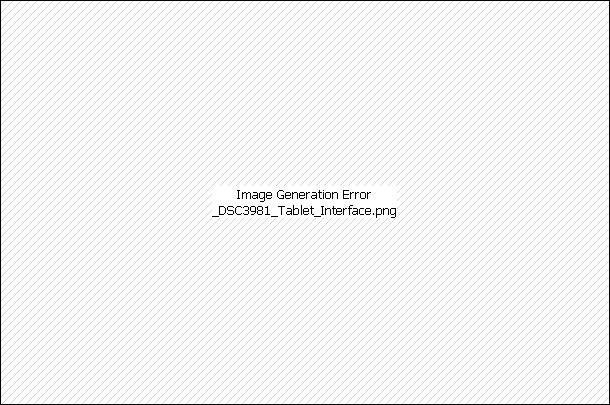 Get more than one device. Race them, set obstacle courses , jump pools of water. Show off your control prowess and knock your friends Sphero into the gutter - laugh and point at them, then shake hands and eat some jam sandwiches and drink some juice. Black Labrador Retrievers hate Sphero 2.0. Tke note on how the components are packed into the box. An unintended bonus of this packaging is a gruelling 10 minute mental workout trying to figure how to fit everything back in again so the box closes fully. The device does not work "out-of-the-box". Along with a three hour charging time you also need to download at least one controlling application to your phone or tablet. Bear this in mind if giving this as a present to someone. Be prepared to mutter / swear as the device gets knocked off course and you have to recalibrate the control on the fly - After a while this can be done very quickly (<1 second) but is a frustration when starting out.